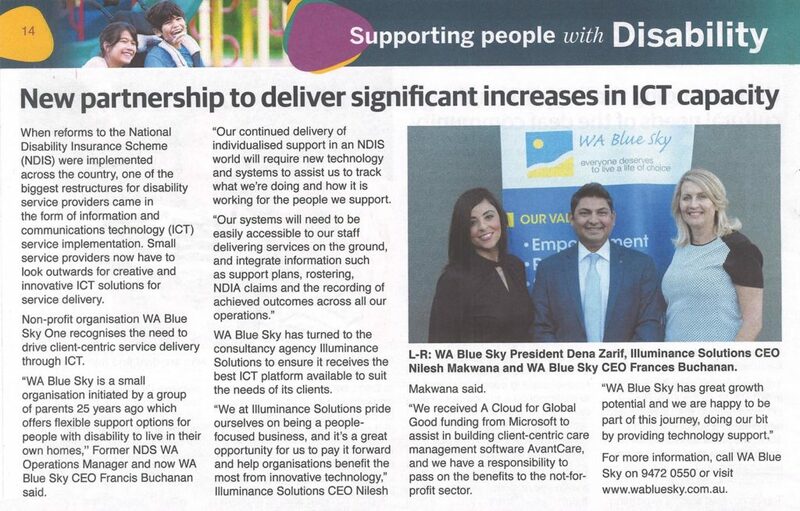 Non-profit organisation WA Blue Sky One recognises the need to drive client-centric service delivery through ICT. 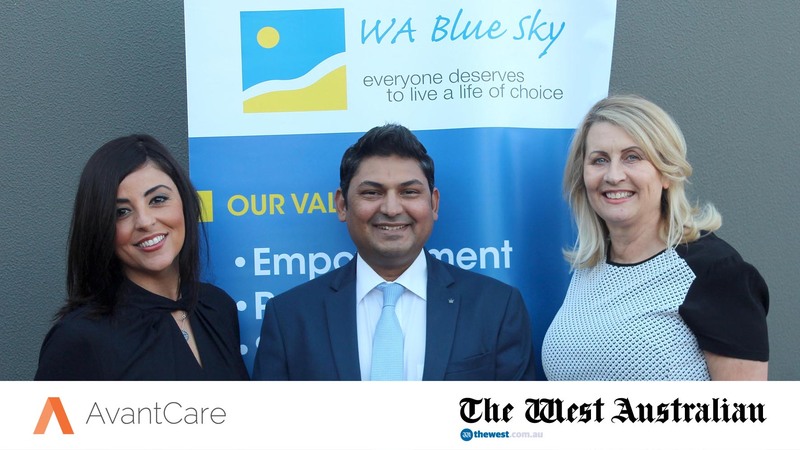 “WA Blue Sky is a small organisation initiated by a group of parents 25 years ago which offers flexible support options for people with disability to live in their own homes,” Former NDS WA Operations Manager and now WA Blue Sky CEO Frances Buchanan said. WA Blue Sky has turned to Illuminance Solutions to ensure it receives the best ICT platform available to suit the needs of its clients. “We at Illuminance Solutions pride ourselves on being a people-focused business, and it’s a great opportunity for us to pay it forward and help organisations benefit the most from innovative technology,” Illuminance Solutions CEO Nilesh Makwana said. In 2016, Microsoft launched “A Cloud for Global Good,” a book of policy recommendations for governments, industry and civil society to help ensure that the opportunities of technology are evenly shared, and that challenges facing society are identified early and practical solutions applied. In the year since that launch, Microsoft has supported the digital transformation journeys of countless businesses, nonprofits and governments, including Illuminance Solutions and AvantCare. Article published in The West 22 June 2018.